Adobe Photoshop comes up with variety of tools and options to manipulate images. It also helps web designers to create interactive designs for website templates as well. 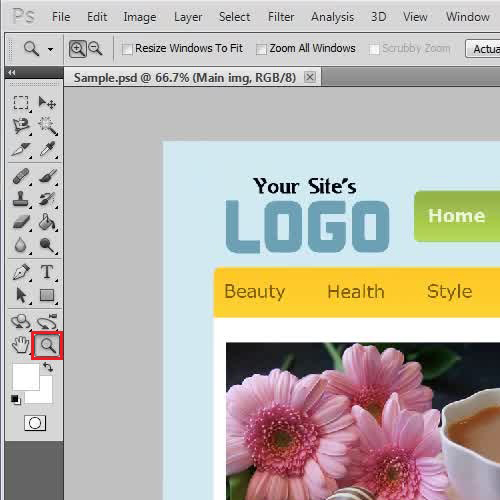 The Slicing Tool in Photoshop is widely used by web designers for Web Slicing. It can help to divide an image according to your requirements. Here in this tutorial we will show you a simple way on how to slice in Photoshop using the Slice Tool. First of all, open up Photoshop and load the psd file of a webpage. 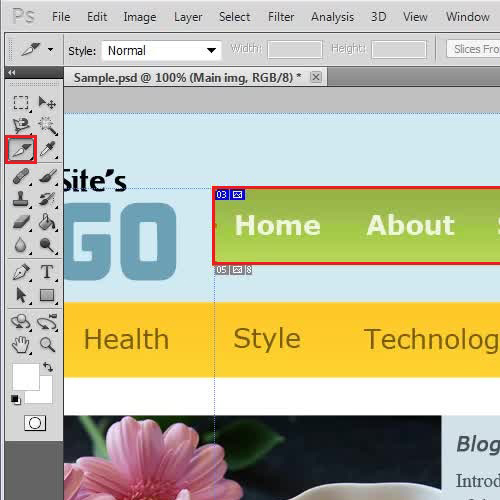 Once you have loaded the webpage template, click on the “Zoom” option which is available in the Toolbar located at the left corner of the window. Now click on the image to zoom in to focus on the image which you want to slice. Once you have zoomed in to the image, select the “Slice Tool” from the menu. Now, we will continue on with the web slicing. Start creating a selection around the area which you want to slice out from the template. You can also create more than one slices selection by using the same “Slice Tool”. Once you have selected the slices from the image, double click on the “Sliced part”. This will open a small settings window in front of your screen. 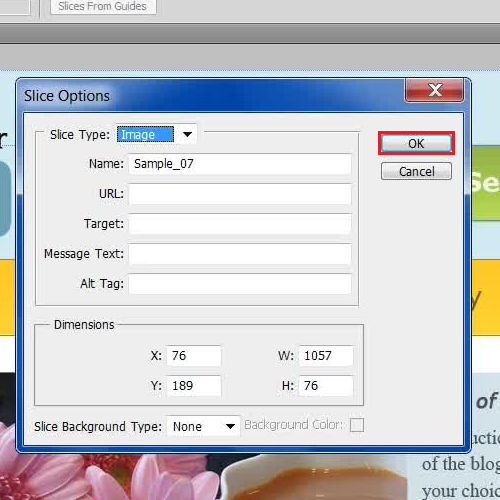 This is the “Slice Options” window which allows you to change or adjust its preferences according to your requirements. After that, click on the “Ok” button to save these settings and exit from this window. And that’s a brief introduction on how to slice in Photoshop. You can continue on to divide up your template into several different images.